I want to say that I loved this book, but sadly, I just can't. I will say that I liked this book, though! For some reason, I really had a harder time than usual diving into this one. I think it was somewhere around chapter 3 before it got to the point where I was really enjoying reading it. That being said, once I got into it, I did really enjoy the book. The title fits this book perfectly. You really do watch Bea grow up and become the woman that she's meant to be. None of the characters are perfect and that makes the story feel all that more real. This is the final book in the series, but not having read any of the others, I didn't have any problems with keeping up with who was who and what their individual personalities were. 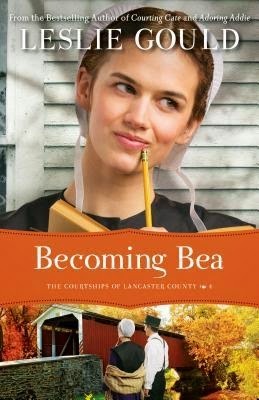 Another good Amish read, but perhaps reading the other books might have made this one easier to jump into.